Hair and Beauty Academy South West Apprenticeships provide exciting opportunities for you to get a head start on your career while you earn and learn. Are you passionate about starting a career in the hairdressing, beauty or barbering industry but have no previous experience? An Apprenticeship with Hair and Beauty Academy South West could be just what you’re looking for to kick-start your career! What do Hair and Beauty Academy South West Apprenticeships involve? Hairdressing, barbering and beauty are a great career choice and the Hair and Beauty Academy South West provide school leavers with an opportunity to train with a highly experienced and dedicated team while gaining practical skills. 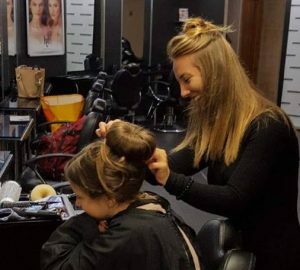 Hair and Beauty Academy South West Apprenticeships involve a mixture of hands on training and classroom based learning which enables you to build your knowledge while gaining real life work experience and a nationally recognised qualification. As an apprentice at Hair and Beauty Academy South West you’ll be offered the chance to receive high quality NVQ level 1, 2 & 3 Apprenticeship training in hairdressing, beauty and barbering while working alongside a highly experienced team in an award winning salon. Hair and Beauty Academy South West Apprenticeships will give you an in depth knowledge of the industry you’re passionate about forging a career in while advancing your capabilities putting you on a pathway for success. Ready to begin your journey into an exciting career?